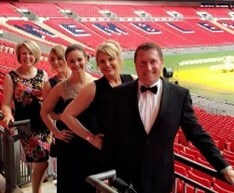 Reays are Wembley winners after being named the best family business in the north west. We emerged victorious at the famous football stadium when it hosted the 2017 National Family Business Awards on Saturday, beating off hundreds of other family-owned firms to take the regional title. 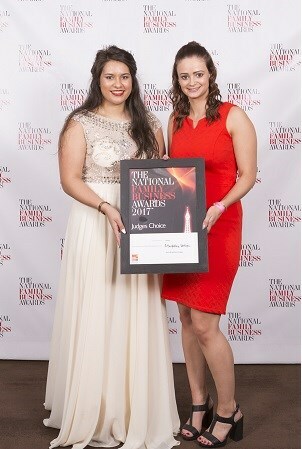 With owners Chris and Nicola Reay unable to attend the ceremony in London, the award was presented to Rosie Groves, our marketing and sales assistant, and Shakayla Hayden-Okesene, our HR administrator. "It was a big surprise to win. We weren't expecting it. I really wished someone had taken a picture of our faces when they announced it. I nearly cried!" said Rosie. "When the host started her speech by talking about the owner's enthusiasm for the company and about getting young people on board, I knew it was us who'd won," said Shakayla. The annual awards celebrate the best of British and Irish family businesses. 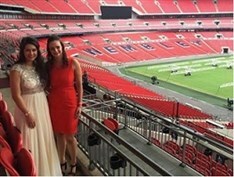 Reays were Wembley winners when the famous football stadium hosted the prestigious Red Ribbon Family Business Awards. We beat hundreds of other nominated companies from around the UK to be selected as a regional finalist in the annual national awards for Britains best independent, family-owned businesses. Our party, led by managing director Chris and his wife and finance director Nicola, returned from the black tie awards ceremony with a Commended For Excellence certificate. Chris said: "We are all over the moon with the nomination. Thank you very much to the anonymous customer, employee or friend of the company who put our name forward for the award. Joining Chris and Nicola at the awards ceremony were commercial director Michelle Stacey, accounts assistant Kate Sparkes and marketing assistant Rosie Groves. Now in their seventh year, the Red Ribbon Awards are the most sought-after prize for family businesses around the country. They recognise and celebrate the contribution of enterprising families and entrepreneurs to the UK economy. 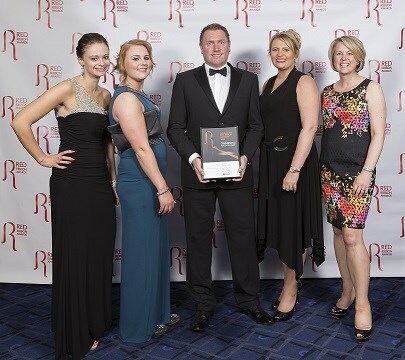 Reays have beaten hundreds of other nominations from around the UK to be named a Regional Finalist at this years Red Ribbon Awards  the highest and most prestigious accolade to be awarded to Britains independent, family-owned businesses. Now in their 7th year, the Red Ribbon Awards have become the most sought-after prize for family businesses around the country. They seek to recognise and celebrate the contribution of enterprising families and entrepreneurs to the UK economy. Previous winners have included The Goring, Shepherd Neame, Michel Roux Jr at Le Gavroche, Pimlico Plumbers, Angels the Costumiers and East End Foods. Reays is Cumbria's leading independent bus and coach company, operating a fleet of 65 vehicles and employing 140 people in the county. Based at Wigton, the family-run firm also has depots at Penrith and at Egremont, from where it runs the Sellafield Park and ride facility and other private and public bus and coach services in west Cumbria. The company has one of the largest fleets of luxury private hire coaches in the north of England. Working with Cumbria County Council, Reays also operates a variety of public and school bus services throughout the county. Family Business Place was founded in 2008 by entrepreneur, Anita Brightley-Hodges. A family business herself, Anita recognised a need for family-owned companies to be able to meet, share and learn from each other and tackle the unique challenges not faced by other businesses such as succession and family dynamics. 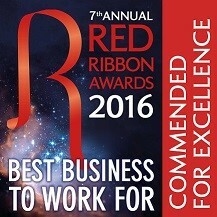 Now the UKs leading events, publishing and advisory company for family firms, Family Business Place are proud to host the Red Ribbon Awards for their 7th successful year.